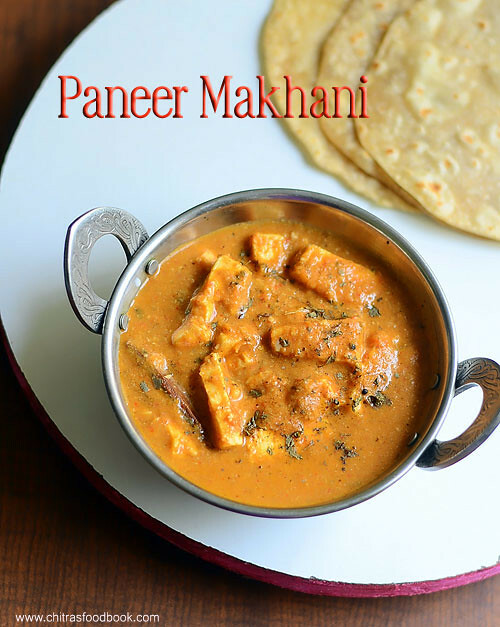 Paneer Makhani ( Makhani means cream in Hindi) is a rich Punjabi gravy/sabzi made with tomato, onion, Butter and cream.Some people call this as Paneer Makhanwala too. Actually I was thinking Paneer butter masala & Paneer makhani recipes are one and the same as the basic ingredients are similar. 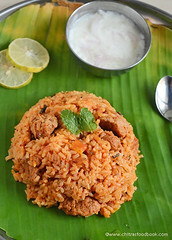 But after going through few posts, I came to know there is difference in their cooking procedures. I followed Tarla Dalal’s recipe for this gravy. 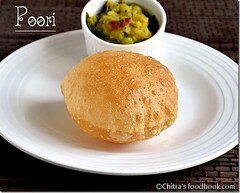 Its taste was close to the restaurant ones and we loved it with soft chapathi. 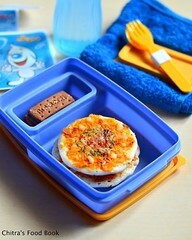 I packed it for Sendhil & Raksha’s lunch box. This gravy can be made without onion, garlic too because its the butter, cashews & fresh cream that makes magic here. 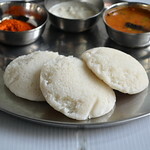 Do try it for Chapathi, Naan or plain kulcha. Tastes yumm. 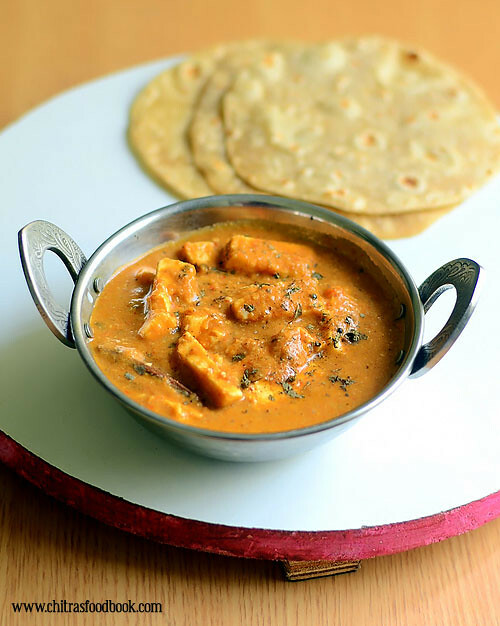 Lets see how to prepare Paneer makhani at home. Cut the paneer into 1 inch strips. Heat water in a bowl and keep the paneer immersed in hot water till use.In a kadai, heat 1 cup of water and boil the chopped tomato, onion, cashews and red chillies. After the tomato, onion is cooked, switch off the flame.Cool down and grind to a smooth paste adding the required water. In a kadai, heat butter.Saute cinnamon, cloves, green cardamom and cumin seeds. Add the ground tomato puree and saute well for a minute. It will start to thicken, changes color by leaving some oil. Add turmeric powder, red chilli powder, dhania powder, garam masala powder, sugar, salt. Mix well & saute the gravy until it starts to leave traces of oil. 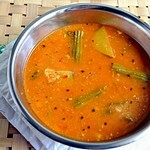 Now add curd and mix well.Cook for a minute.Add 1/2 - 1 cup of water and boil well. 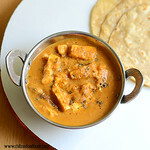 Lastly add paneer cubes and boil well until the gravy comes to a desired consistency. 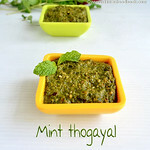 Add the crushed kasoori methi and fresh cream. Mix well. 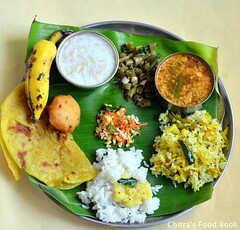 Switch off the flame and serve hot with roti/Chapathi.Enjoy ! 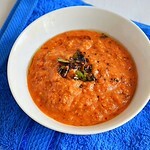 Use kashmiri chilli & Kashmiri chilli powder to get a bright red colored gravy. Adding fresh cream gives a great taste. So do not avoid it. If you don’t have fresh cream in hand, collect the skin/Malai from the the boiled milk and add it. Instead of cashews, you can use almonds too. Enjoy this rich and creamy paneer makhani with roti or naan ! Tastes yumm !! 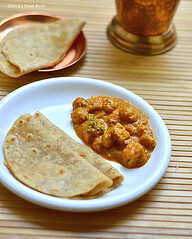 hi chitra tried thid paneer makhani for my dd s lunch box.tasted yummy.and i followed ur recipe for soft chappathi.it came out really soft.here after i follow this method only.thank u so much. 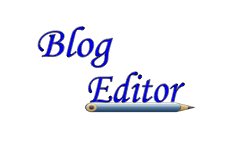 Do we have to boil the onion ?